Demi Lovato knows all about the importance of staying balanced. 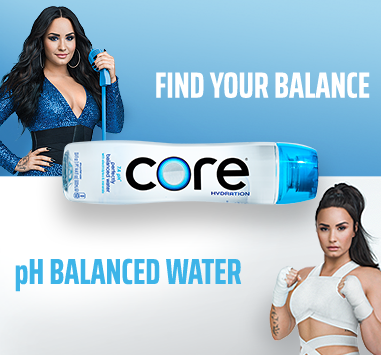 We've teamed up with Demi to help you find your own balance. Want to know the secret to dating? Demi’s got the answer. Well, she’s got two answers. The only one who dresses better than Demi is Demi. Glam face or #NoMakeupMonday? Demi’s got opinions on opinions. Demi gets real about how sometimes you just need to ****ing let loose. But not all the time. Doing it for the likes is great, but you have to draw the line somewhere. It can’t be party time all the time. Demi gets real about finding a balance in her social life. Sorry, but you’re going to love this video of Demi on apologizing. Not sorry, if you don’t. Get behind-the-scenes action and more. and nobody knows that better than Demi Lovato. 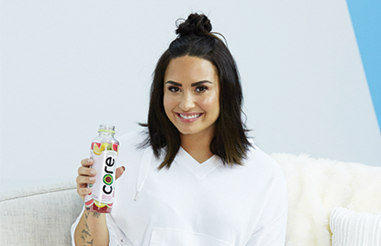 As an early investor in CORE, Demi’s connection to the brand started off with CORE Hydration serving as an everyday accessory to her life — from workouts, to studio time, to tours across the world. CORE is designed to match your body’s natural pH of 7.4. We believe that finding balance starts with what you put into your body and Demi Lovato is our living proof.